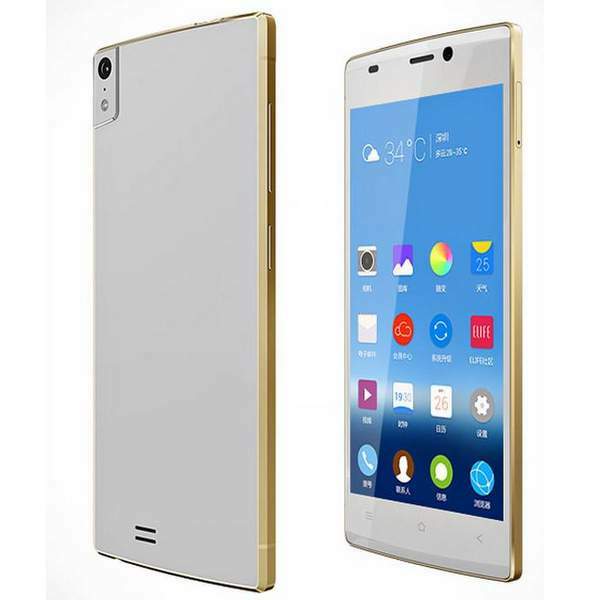 Gionee, the Famous mobile manufacturer has launched there latest smartphone “Gionee Elife S5.5 ” in India. The new Gionee Elife S5.5 is world’s slimmest smartphone with just 5.5 mm thickness. Not just the look but also the specifications are quite vigorous. The handset has 5 inch FHD Super AMOLED Display with Corning Gorilla Glass protection on the top. It is powered by1.7GHz 8-core processor based on Mediatek’s popular chipset the MT6592. The Gionee S 5.5 would compete with its own brother the Gionee Elife E7 mini which was launched last year in china. The Gionee Elife S-5.5 comes with 13MP primary shooter based on SONY Sensor and 5 -megapixel secondary shooter. The handset is Capable of recoding Full HD 1080p videos and supports the FHD playback as well. It measures about 145.1 by 70.2 by 5.55 mm and weighs 130 grams. To make the phone snappy there is 2 GIGS of LP DDR3 RAM integrated with Mali 450 MP4 GPU and 16 Gigs of ROM ( internal storage ). The Elife S5.5 features 3G, WiFi with WiFi Direct support, Bluetooth, GPS and micro USB with OTG capability. To make the phone Alive there is 2300mAh battery and to make the hardware run there is Android 4.2 Jelly bean OS with Amigo UI on the TOP. The handset will compete ( VS ) with Micromax Canvas Knight A350, Karbonn Octa Plus and Intex Aqua Octa mainly in India. It comes in Blue, Black, White and Purple colors. It would soon go on sale and will be available from online retailers (buy online ). The Gionee Elife s5.5 is priced at INR 22,999.